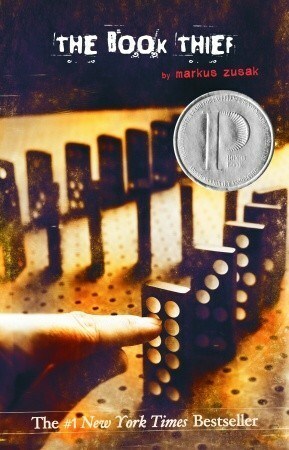 Awhile back, I read and reviewed Markus Zusak’s The Book Thief. I wasn’t nearly as enthralled as the rest of the interwebs and book readers. So when it was selected as The Liwits’ November book club read I was really excited to see how the ladies would respond. In short – they pretty much agreed with me. Obviously, Zusak’s novel is much beloved by many, but as someone who didn’t find it extremely compelling – and a tad bit on the gimmicky side – I was pleased to discuss my dislikes with fellow critics. Not that we trashed the novel – not at all – and we had one lovely member who adored the book. We all agreed that Zusak’s prose was mostly gorgeous and that dude can write, but I think Death as a narrator ultimately bothered some Litwits. Katherine wasn’t thrilled with the ‘magical realism’ aspect of Death adding a sort of fictional haze over the realism of WWII. I agreed, going so far as to argue against fictional WWII literature in general. Others believed Death was humorous, added a certain levity, and was personified in a wholly humanistic way that didn’t bother the grittiness of the story at all. We argued with America’s marketing of The Book Thief as young adult literature. I’m fairly certain we all agreed that the book belongs among all ages equally. We did think that teenagers would appreciate the novel. Our discussion led us to ideas of what evil truly is and what it looks like, the differences between sociopathy and psychopathy, and even our recent political elections. Everyone enjoyed the novel’s German perspective as we dived into a debate about how humans can turn a blind eye to such torture and how we believe it could happen again if we aren’t careful. Unfortunately, many struggled with the constant reminders that everyone was going to die in the end which led to an anti-climatic ending that left no tears scattered across the final pages. In converse, some appreciated this warning which allowed them to enjoy the journey without worry for the emotional turmoil at the end. I encourage other groups to read this novel together. While not everyone will love it and some might even find it difficult to get through, The Book Thief generates some amazing discussion which is, after all, the point of a book club! I’m glad The Litwits read this story together and had such profound thoughts. Can’t wait until next month when we read The Violets of March by Sarah Jio. Hopefully, a bit of a lighter read for the Holiday season!